Shazam has an interesting history in comics. One that is as almost as exciting as reading (or seeing) his adventures. For example, if you go to the Shazam movie you will see DC Comics branding at the start of the Shazam movie. You might think DC created the character. Shazam’s comic book history goes way back into the past. So far back DC Comics wasn’t even known as DC Comics. They also did not create Shazam. In fact, his first interaction with DC was a legal interaction. Shazam was originally published by Fawcett Comics in 1940 and created by artist CC Beck and writer Bill Parker. Fawcetts Shazam known as Captain Marvel. In the beginning, Shazan was known as Captain Marvel. 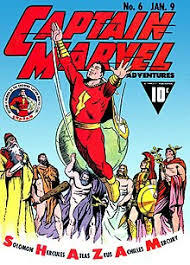 Fawcett’s Captain Marvel has no relation to the Marvel comics or Marvel Comics multitude of characters with the same name. Chronologically speaking, the original Captain Marvel is Fawcetts and that Captain Marvel would keep the name until 1973. To avoid legal complications with Marvel Comics, Captian Marvel became Shazam. To keep things simple and for the intentions of this article, we will also refer to Fawcetts Captain Marvel as Shazam. Both Parker and Beck had distinct creative energy. Parker created most of Fawcett’s superheroes and wrote Shazam. He Shazam family of heroes with whimsical style. Parker established a house style of sorts that was somewhat unique to Fawcett. Beck was equally unique with his art. It is possible that Becks art had more of an impact in establishing the house style than Parkers writing. Together, Fawcett stood out from other publishers of the time. Fawcett grew as a company. They expanded their range of titles and Shazam grew in popularity. So much that Shazam outsold all of DC’s titles including Superman. This was no easy feat as Superman was the title every publisher was envious of. It might be hard to believe that there was a time when DC had competition that wasn’t just Marvel. Remember this was in the 40s. Marvel as we know it now didn’t even exist (then it was known as Timely). It’s no surprise then, DC decided to sue Fawcett. DC claimed Shazam was an infringement on their Superman property. This isn’t the first time DC sued to protect Superman. In 1939, DC (then known as Detective Comics) sued Fox comics for their Wonder Man character. This Wonder Man predates Marvel Comics Wonder Man and has no relation to the Marvel hero. DC claimed Wonder Man was infringing on the copyright of Superman. Then, in 1940, Detective Comic sued Fawcett. 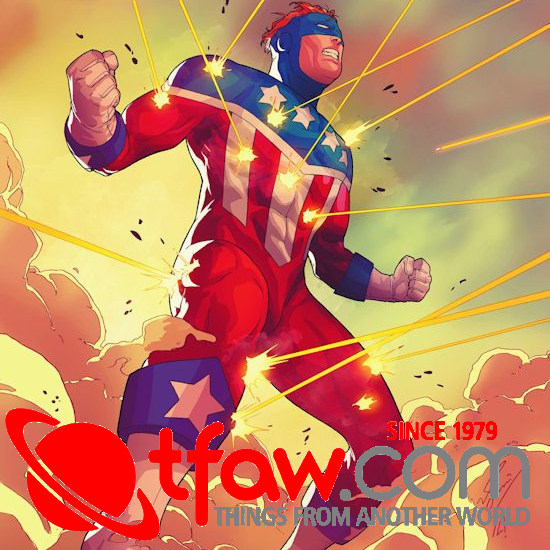 DC objected to Fawcett’s Master Man character for the same reasons as the Wonder Man lawsuit. 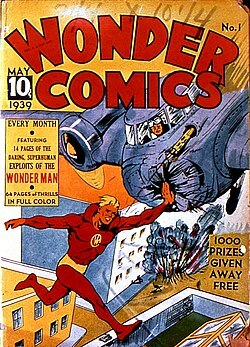 Wonder Comics featuring Wonder Man from Fox. Created by Will Eisner, Wonder Man was the feature in Fox’s first publication, Wonder Comics #1. This lawsuit was quick. The court decided that the idea of creating a ‘Hercules’ like character (as the courts referred to Superman as) was not legally protectable. It was also decided that it was wrong for a company to have a monopoly on a “kind” of character. There was a far more important finding in this lawsuit. The courts decided that Wonder Man was too similar in action, portrayal, plot and visual nature to Superman. The conclusion: Fox was intentionally copying key moments in Superman comics. While not a total victory for DC it was still a win. Their hope was to win on all three points, not just the last. Never-the-less, this last point would be one that they would refer to again and again in the future. After losing the lawsuit, Fox simply stopped publishing Wonder Man. Thankfully, they continued publishing comic and creating noteworthy comics after this loss. The Wonder Man decision became a precedent. This influenced judgments in subsequent Superman infringement suits. Emboldened, DC continued to protect Superman. Next was was their first legal encounter with Fawcett. 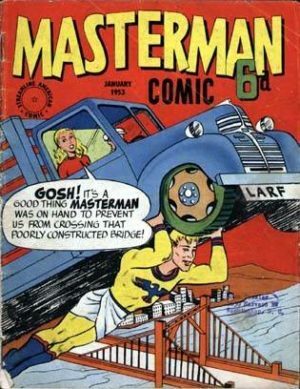 MasterMan was created by Fawcett as a feature in Master Comics. The series already released six issues. Once DC put Fawcett on notice, Fawcett simply stopped publishing the character DC objected to. DC was not done with Fawcett. After success with the previous two lawsuits, DC was on a roll. They successfully stopped two comics from being published! Perhaps DC thought Fawcett would react in the same fashion as they did Master Man. If that was DC’s line of thinking, they were wrong. This time was different for Fawcett. 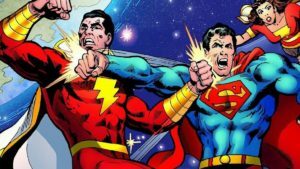 DC targetted Shazam as an infringement on DC’s Superman copyright. Shazam and associated properties were deemed too high of a value to Fawcett. They decided to make a stand and went to court in 1948. In an odd mishap, Fawcett won the day in 1953. Kind of. Fawcett only technically won. The lawsuit was dismissed on a technicality. DC failed to secure the copyright to it’s Superman newspaper comic strip. If not for that clerical error, comics history would be very different. The lawsuit was based on Fawcett infringing on DCs Superman copyright. Without proper copyright to infringe upon, there was no reason to pursue the matter any further. It is amazing that it took 5 years to come to that decision! Lucky for DC the judge declared the Superman copyright abandoned. It could have been declared public domain! As an Abandoned Copyright, DC could and did reclaim it. Hope is an endearing quality. From the trial, there was something that gave DC hope. That’s right, our story doesn’t end there. The case may have been dismissed, DC felt they still had a chance. The judge stated that parts of Shazam were indeed intentionally copied from Superman. It must have felt like Deja Vu from the Wonder Man and Master Man lawsuits. That finding was the hope DC held onto and it would go in to create a greater change in the industry. DC continued its aggressive strategy (that everyone has to admit, paid off) protecting Superman. DC looked at their legal options and appealed in 1951. The finding of the trial judge also weighed heavily on Fawcett. Years passed since the initial lawsuit started. Time did not stop and wait for a resolution between the two companies to come about. During that time, the comic industry went through a number of changes. The outcome of the appeal changed everything. Fawcett settled out of court. There are many rumors as to why Fawcett chose their next action. I feel that due to a decline in superhero comic sales during the 50s. Either way, Fawcett chose not to fight in court. Fawcett agreed to pay $400,000 in damages and to stop publishing superhero comics. It should be said that Fawcett did, before Shazam gained popularity, copy aspects of Superman. In fact, in the same way, Fox did with Wonder Man. It was obvious. It is a shame. 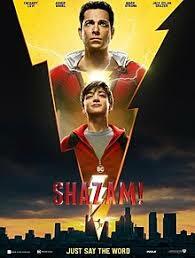 I believe Shazam and his family of titles earned their popularity based on the character and creative team use of them as opposed to their copying aspects of Superman. In otherwords, there was no need to copy. Now, if you thought this story was over with, think again. Fawcett was not down and out. The company, in fact, still owned the copyright to their heroes. While Fawcett ceased publishing comics afterward, they did what they could to keep things going. Timing is everything. Fawcett’s problems became another comic companies gain. During 1954-1955 Charlton Comics was rolling with success. Charlton expanded by buying lots of property rights to comics from other publishers. This included Superior Comics, Mainline Publications, St. John Publications and Fawcett Publications. Fawcett decided to unload it’s comic book properties. Charlton’s expansion absorbed Fawcett’s ‘This Magazine is Haunted’ and ‘Strange Suspense Stories’. It is interesting to note that on both titles Charlton used unpublished inventory stories from Fawcett. When those ran out they hired Steve Ditko who took over much of the art duties. This provided greatness to horror comics and Ditko fans everywhere. Under Charlton, the titles held out for a decent amount of time. Haunted ended it’s run in 1958 and Strange Suspense Stories lasted until 1965. One can theorize that Strange Suspense Stories staying power was due to Charlton introducing Captain Atom to the series. These stories were reprints from a prior Charlton series, Space Adventures. After gaining renewed popularity in Strange Suspense Stories, Charlton gave Captain Atom his own series. It was during the Captian Atom series where other Charlton Action Heroes would be introduced. The Charlton purchase was noteworthy for other reasons. Charlton also acquired three of Fawcett’s Romance comics. Sweethearts, Romantic Secrets, and Romantic Story. Sweethearts is historically known as the first monthly romance comic. The title debuting in 1948 under Fawcett. Charlton continued publishing Sweethearts until 1973. Charlton must have loved Fawcett’s legal woes. They also purchased a number of Fawcett’s Westerns. This included Gabby Hayes Western, Lash LaRue Western, Monte Hale Western, Rocky Lane Western, Six-Gun Heroes, Tex Ritter Western, Tom Mix Western, and Western Hero. Last but not least Fawcett sold reprint rights of Hoppy the Marvel Bunny to Charlton Comics. Charlton published the Fawcett property as Hoppy the Magic Bunny. One can imagine Marvel Comics objected to the use of Marvel in Hoppy’s name. History would repeat itself a few decades later. This time Charlton Comics went out of business in 1985. Charlton’s parent company in folded in 1991 and corporation in 1999). Charlton would piece out its properties much like Fawcett did decades previously. A fair amount of Charlton’s self-styled “Action Heroes” would find a home at DC Comics. These ‘Action Heroes’ were initially going to be used by Alan Moore in creating his Watchman story. The Watchmen are analogs of Charlton’s Action Heroes. In theory, if the legal battle between Fawcett and DC did not occur, the sale to Charlton would have never happened. Strange Suspense Stories would have never sold to Charlton. Captain Atom might not have received his own comic series, the silver age Blue Beetle and Nightshade would not have debuted in Captain Atoms series and by extension the Watchmen would have been altered considerably. 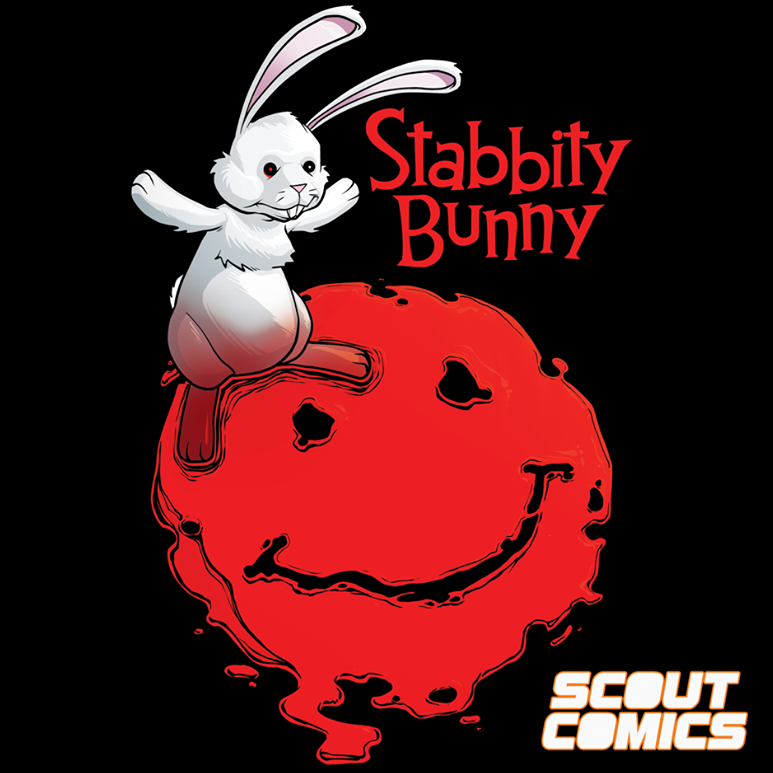 There is a little irony in that Watchmen’s publisher is DC Comics. Before the lawsuit with DC, Fawcett was licensing reprint rights to many of its superhero titles to the British publisher L. Miller and Sons. They published these reprints in black and white. This avenue of revenue would cease once Fawcett settled out of court with DC. In a wild turn of events, L. Miller and Sons decided to do something about it. Shazam titles were a great seller for them. L. Miller and Sons hired Mick Angelo to nick the Shazam creation. Mick Angelo created new titles to replace the Shazam titles. These titles were a revisioning of Fawcett’s family of Shazam titles. Angelo essentially copied the Shazam properties. He then tweaked them a little and continued the adventures under a new name. Angelo essentially copied the Shazam properties. He then tweaked them a little and continued the adventures under a new name. Angelo pretty much did what DC accused Fawcett of doing. Instead of Shazam copying Superman, it was Angelo’s Shazam substitute copying Shazam. 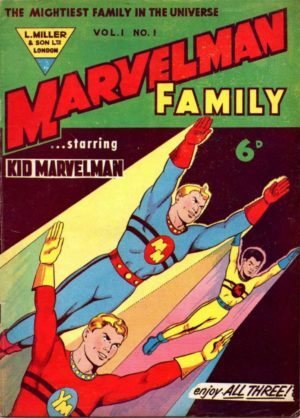 The new titles were Marvelman, Young Marvelman, and Marvelman family. This would all come to an end in 1963. Amazingly Marvelman and Marvelman Family ended with hundreds of issues published. Angelo’s revisioning of Shazam inspired Alan Moore to revise the revision. Alan Moore’s revised Marvelman as Miracle Man to high acclaim. The story of Moores Miracle Man has its own wild tale to tell. In fact, so much more could be written on the various Superman analogs that it would fit a fairly large book. Alan Moore was again influenced by Fawcett. This time more directly the theoretical influence of Fawcett’s sale to Charlton on Watchmen. A lesser-known influence of Fawcett on Alan Moore is in evidenced in a proposal. Moore was also pitched an event style DC comic, Twilight of the Super Heroes, where Shazam and family took a prominent role. Sadly this pitch was never published. It has been theorized that the pitch did influence Mark Waid and Alex Ross’ Kingdom Come where Shazam enjoyed great exposure. 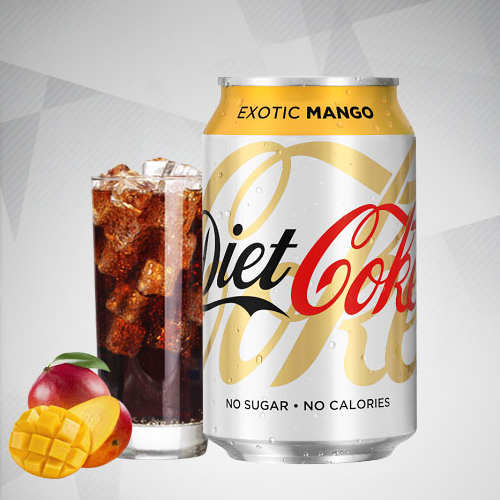 To add irony to this twisted tale Angelo’s rebranding was a tribute to Shazams original name of Captain Marvel. In 1967 Marvel sued Fawcett for the rights to the Marvel name. Specifically Captain Marvel. Remember the old adage, the chicks come home to roost. 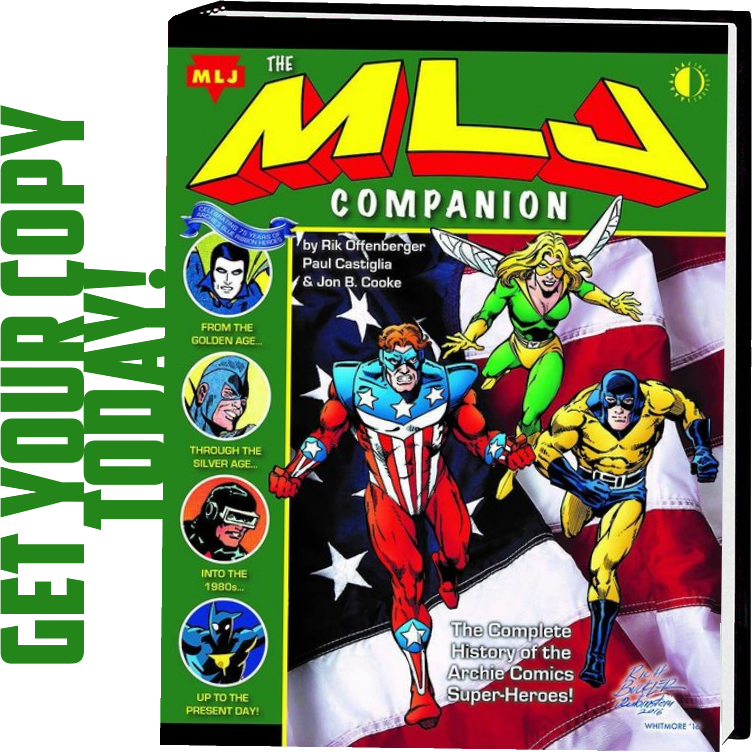 Marvel would, in a whole story of their own, obtain the rights to Miller and Sons titles including the Marvelman range of titles. Marvel would, in time own the rights to L. Miller and Sons titles, including the characters in the Marvel Man titles. Fawcett was never the same after settling out of court. Whatever lead Fawcett had with its command of sales in Super Hero comics, the loss of $400,000 (in the ’50s!) was less an equalizer and more of a punishing kingmaker. Not only that, recall Fawcett legally promised to never publish superheroes. It makes one consider all the could have beens and should have beens of not for the lawsuit. The experience did have a devastating effect on Fawcett. Post Shazam, Fawcett found a comic book success one more time. You might remember the Dennis the Menace comic. Fawcett did enjoy success publishing Dennis from 1969 to 1980. Shazam was effectively out of print the moment they Fawcett settled out of court. This continued throughout the ’60s. This is exceptionally sad when you consider the 60s as a period where superhero comics regained their popularity. Then the 70’s started. DC licensed the rights to all of Fawcett’s superheroes in 1972. They revived Captain Marvel (Remember, Shazams original superhero name) in a comic entitled Shazam! Taking the name Shazam logically was to avoid a potential lawsuit with Marvel. DC even secured reprint rights to the original Fawcett comic books and started reprinting old Fawcett stories along with new stories. DCs use of Fawcett’s characters would decrease in time. This was not due to popularity. It was economical. The license agreement required a per-use fee for every appearance by a Fawcett character. DC started limiting which characters were used, many appearing rarely until the Shazam! series ended in 1978. That would change in 1991 when DC purchased the rights completely to the Fawcett superhero line. Why they did this, I’m unsure. Oftentimes DC and Marvel have purchased other companies character to make sure the competition doesn’t. Who knows if that was the guiding principle. INTERESTED IN READING THOSE EARLY STORIES OF SHAZAM AND FAMILY? Interested in reading more Shazam or Shazam related comics? DC Comics has released some of the original Fawcett stories. There are a far greater number of stories left unreprinted. Thankfully there is a company that is releasing the majority Fawcett superhero catalog. Enter Gwandanaland. 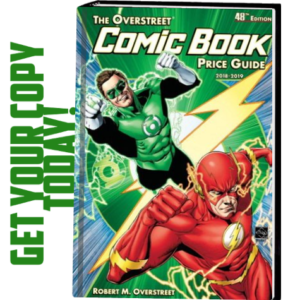 Gwandanaland is a passionate publisher who releases collections of comics from the golden age of comics. To date, they have released over 2,000 collections. Please note: You won’t find Gwandanaland titles or their Fawcett collections at your local comic store. To keep costs low, you will find the Gwandanaland collections on Amazon and print on demand from the publisher. You might wonder how Fawcett stayed alive after it folded the comics division. Fawcett Comics was a division of a larger company, Fawcett Publications. Fawcett Publications was as impactful in publishing as the comic division was in comics! During the 1930s Fawcett established a line of magazines including True Confessions, Battle Stories, Cavalier, Daring Detective, Dynamic Detective, Family Circle, Motion Picture, Movie Story, Screen Secrets, Secrets, Triple-X Western, True, and Woman’s Day. This was but a selection from many other titles. Many of these were very popular but none as popular as the flagship of Fawcett magazines, Mechanix Illustrated. Fawcett also issued a line of paperbacks. They revolutionized the paperback industry with their practices and debuting authors like Louis L’Amour, John D. MacDonald, and Richard Matheson. Fawcett also was the first to distribute Mickey Spillane’s I, the Jury. Fawcett’s history reaches much further than this summery. From a historical perspective, is impressive and is interesting to research. One might point any of the above examples of how influential Fawcett is. There is another example of Fawcett’s influence that can be felt, even today. 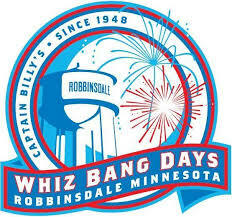 Since World War II, there has been an annual four-day festival held in Robbinsdale, Minnesota called Whiz Bang Days. This celebration is dedicated to recalling the glory years of Fawcett Publications. Laws concerning copyright infringement must be a lot looser these days. Anytime creative properties (and oftentimes those lacking creativity) become profitable a parade of copycats follow. Who can say how history would have played out if anything changed in the Fawcetts history? For the most part, DC treats Shazam with respect. Many great moments with Shazam have occurred as a result under DC Comics. It would be nice if the other Fawcett heroes had a chance to breathe more. Perhaps, in time, that will happen. I hope to see much more of Shazam and the Fawcett heroes in the future! Until then there is quite a lot to keep a Shazam fan happy. DC will likely release new stories alongside reprints. Gwandanaland has reprinted the vast majority of Fawcett’s titles. 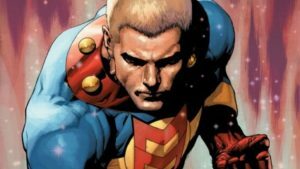 Marvel has reprinted a number the Marvelman titles. Shazam fame reaches outside of comics as well. Shazam and his family have popped up all over popular culture. 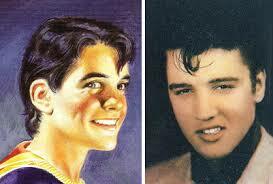 One example, as described in Elaine Dundy’s biography, Elvis and Gladys, Captain Marvel Jr. had such an impact on Elvis Presley that he borrowed the character’s poses, hairstyle and lightning flash chest insignia. Done right, who knows what heights the character will reach!